Win an 128GB i-pad pro! All entries should be provided as a Word or pdf file, and sent to Madeline McKerchar (mjm61@cam.ac.uk) by 31st March 2016, marked ‘Inspirational Women competition’. Your name and email address should be kept off the entry documents, so that judging can be anonymous. The competition is open to all students and employees of the Engineering Department, female, male, engineers and non-engineers. There is no (upper or lower) age limit for your nominations. Women currently employed or studying in the department are excluded from nomination, but you may nominate women who have a less formal connection with Cambridge. The nominee’s achievements need to be recognisably ‘engineering’. You can nominate any woman engineer from around the world and from any time. The judging panel will be formed of the Head of Department and members of the Athena Swan Panel. Please note that the entries will be judged on the reasons why you find the woman engineer you have nominated inspiring, as much as on her achievements. We will also be looking for variety in the winning entries to be displayed. All entrants will be invited to a lunch party, where the winner will be presented with an 128GB i-pad pro by Professor Dame Ann Dowling. Runners up will be presented with a voucher, and all winning entries will be displayed in the Department through Easter Term. 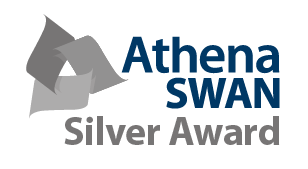 *Athena SWAN is a national scheme which recognises a commitment to supporting and advancing women's careers in science, technology, engineering, maths and medicine (STEMM) in higher education and research.